Who Are the Dead in Syria? People keep talking about the 100,000 dead thanks to Bashar al-Assad. Pinning down the exact figure and which side they were on is a tricky business. By now we've all heard the number: 100,000 dead since the Syrian civil war erupted in March 2011. But who are they? And who killed them? And is that number even right? In late July, U.N. Secretary-General Ban Ki-moon estimated that the death toll in the conflict had reached 100,000. The London-based Syrian Observatory for Human Rights, which is sympathetic to the opposition and publishes a daily body count from the fighting in Syria, puts the present number higher. 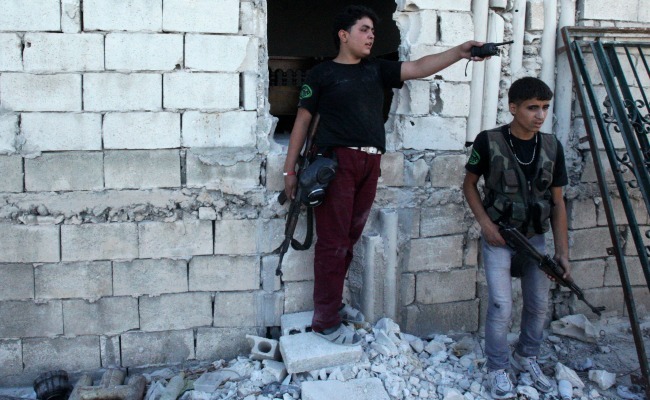 There's some controversy over the way the group counts civilians; their number probably includes some fraction of civilians who had taken up arms, which is to say, irregular rebel fighters, as well as a mix of pro- and anti-regime civilians. Pro-Assad fighting forces sustained 41 percent of total deaths since the conflict began, according to the Observatory numbers. There are no official counts of deaths in Syria, and the Observatory’s new statistics are likely to be sharply disputed. Another group, the Syrian Network for Human Rights, which makes no effort to tally government casualties, released a report last Wednesday that claimed that it had documented 83,598 deaths, of which 75,992 were civilians and 7,606 were rebel fighters. The Observatory, however, is considered the most authoritative source for reports on the daily violence in Syria, and it’s the only group that routinely attempts to categorize deaths according to whether the victims were civilians, rebels or government fighters. The Syrian Network for Human Rights, also based in London and sympathetic to the opposition, now issues a monthly report on deaths, though the last one posted on its website appears to be from June. Its last comprehensive report, "83598 people have been killed since Syria's uprising against Bashar al-Assad : including 74993 civilians , 8393 of them are children , 7686 women and 2441 tortured to death," was published in May.